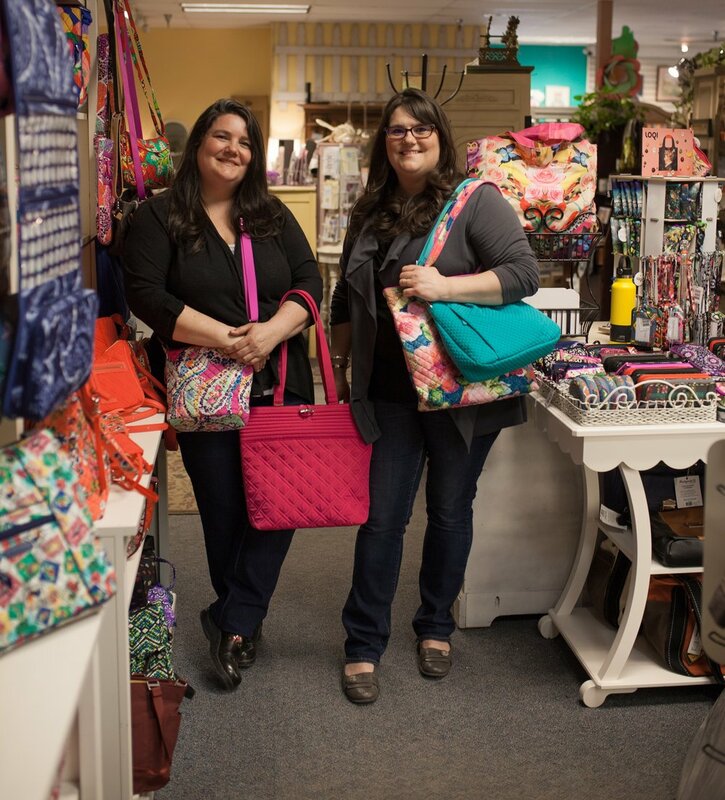 In 2013 Jeanette with Home Again Décor had an idea that has since blossomed into what is now known as The Boardwalk Shop. Jeanette approached Cranberry Cottage, Gladheart Acres and Alaska Chicks with the idea of combining these shops and creating one large storefront. As time went on, this idea turned into a plan, and finally in June of 2013 The Boardwalk Shop was born and opened it's doors for the first time. It was always a thought to serve coffee within the shop and in the fall of 2014 this dream became a reality. This gave Michelle the chance to follow a dream of her own, and open what is now known as The Coffee Corner. Since then, The Boardwalk Shop has had the privilege of working with Kim of Beauty For Ashes and welcomed her Christian bookstore as part of the shop in 2015. Just a short year and half later, Kim was able to retire and sell her business, which is no longer located within the shop. In February of 2017 the shop closed it's doors for a week and began a huge remodel. It was then that Laurel with The Sparrow became part of the shop and offers inspirational giftables. Our desire to create a place for community, shopping, visiting, sharing and somewhere locals & visitors alike call their "happy place". Home Again Decor was established in 2010 with the desire to create a unique consignment and antique shop. Locals have trusted Jeanette for years to take their gently used new, vintage and antique items on consignment. Home Again Decor also supports local crafters and offers a large range of locally crafted home decor and Alaskan themed items. With a desire of wanting more unique, special and pampering gift options in the valley Patricia and Alicia (along with other family members) started Cranberry Cottage in 2007. What was once a little gift shop in the yellow house on Knik Goose Bay, Cranberry Cottage is now a valuable part of The Boardwalk Shop. Tammy has always enjoyed making handcrafted soaps and bath products, but in 2001 she turned hobby into business and Gladheart Acres was born. Gladheart Acres has been a family owned and operated business since the beginning that Tammy along with her late husband and eight kids all enjoyed doing together. The handcrafted products of soaps, lotions, lipbalms, bathsalts, perfumes and much more are available inside The Boardwalk Shop as well as farmer markets, craft shows and bazzars. In 2010 Charity had a heart to create something positive for the awesome and one-of-a-kind women of Alaska to wear. Along with her line of apparel that has since expanded to include hoodies, tanks, t-shirts, hats, and more, Charity also began collecting and upcycling furniture. She had a desire to support and encourage other small businesses and in 2015 the Alaska Chicks Vintage Market was born. Since then, there have been several Spring & Fall markets and has become a dream come true for Charity. Laurel has always had a desire to do something creative and unique. When the possibility arose for her to create her own little business within The Boardwalk Shop, she did not hesitate to jump in. The Sparrow, has given Laurel the opportunity she was looking for to sell primitive decor, inspirational and spiritual items, and her latest addition of April Cornell linens! As long as she can remember, it has been a dream of Michelle's to own a coffee shop. 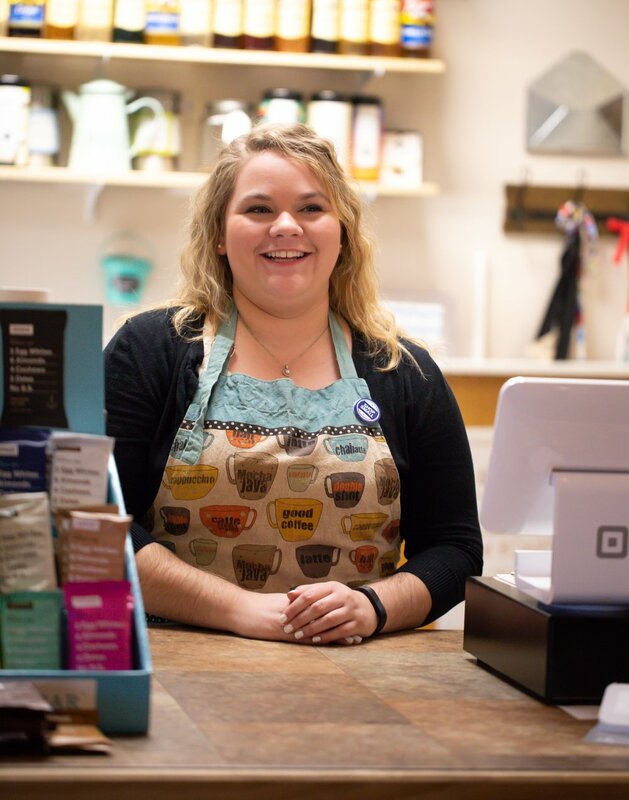 In the summer of 2014 the opportunity of opening a coffee shop within The Boardwalk Shop was presented and she excitingly took the chance to making her dream a reality. The Coffee Corner has since become a place for the community to come, sit together and connect, or to enjoy a coffee while browsing the shop. Through the years The Coffee Corner has been established, it has held classes, workshops, meetings and is favorited by many.